Maternity photos for baby #2, which means more fun with the soon-to-be Big Sister! 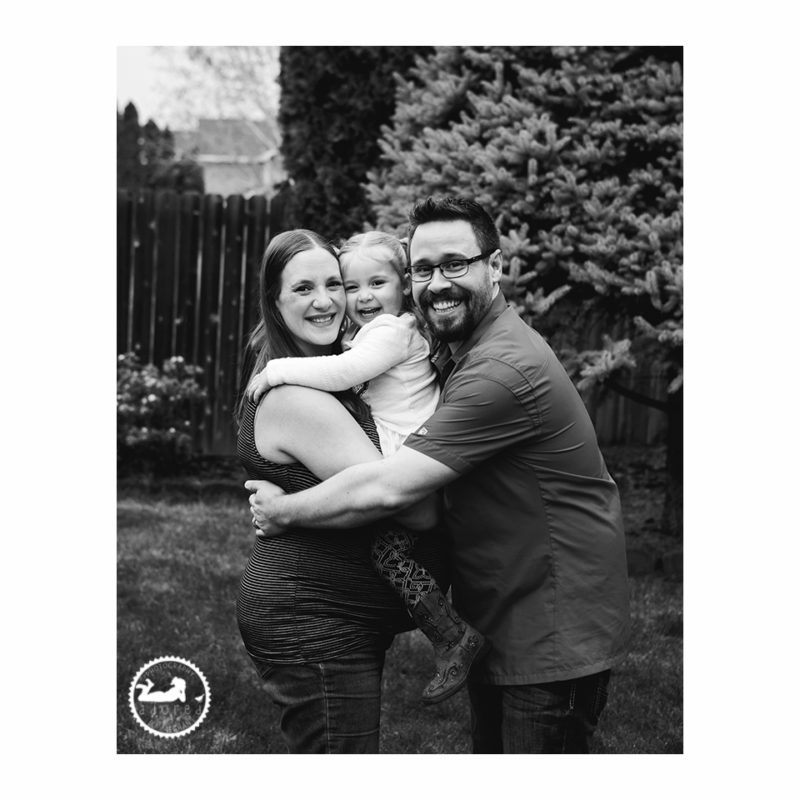 The greatest privilege as a photographer is being asked back to photograph a family. 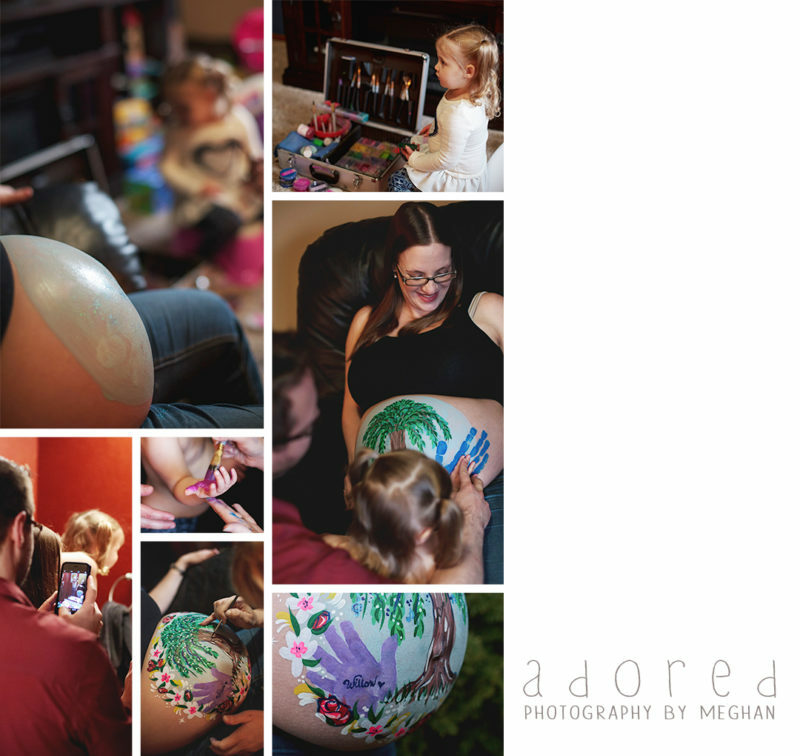 I photographed their first pregnancy and newborn portraits, and we had fun with baby girl #2! We took some ‘normal’ photos in their backyard, super adorable right?! This family is connected in the Arts community. 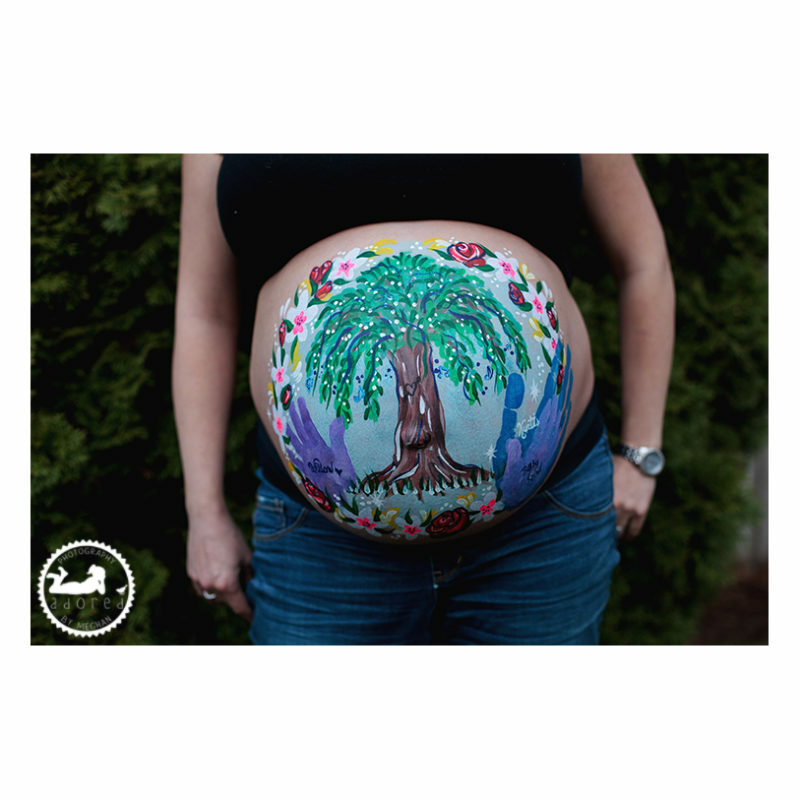 They decided to do something a little different, a little fun for this maternity session, and they asked Allusions Art & Design to create a piece of art, right on Mom’s tummy! Being a lifestyle portrait photographer means I got the joy of documenting the process! 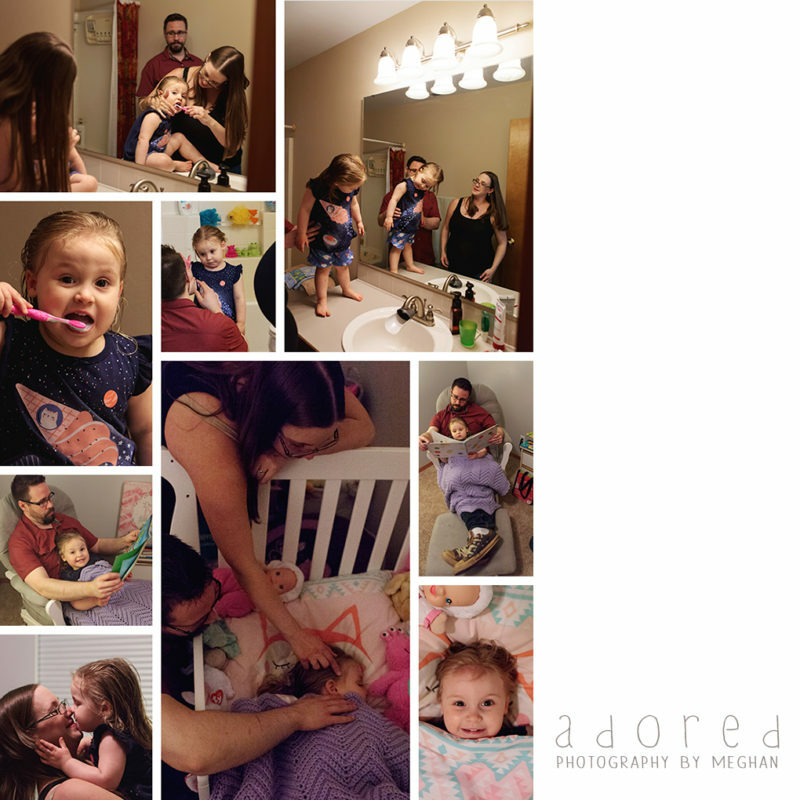 After we wrapped up the fun art, they were winding down for bedtime, and I had fun snapping some photos for them during their special time together; reading and singing songs, and tucking in allthebabies! These are the little moments we might randomly think, “I’d love for someone to take our photo right now, I’m going to miss this.”. That is why I love the approach of ‘lifestyle’, in-home photos: documenting memories that are happening right now. Photos we can look at and be pulled back to that very moment. 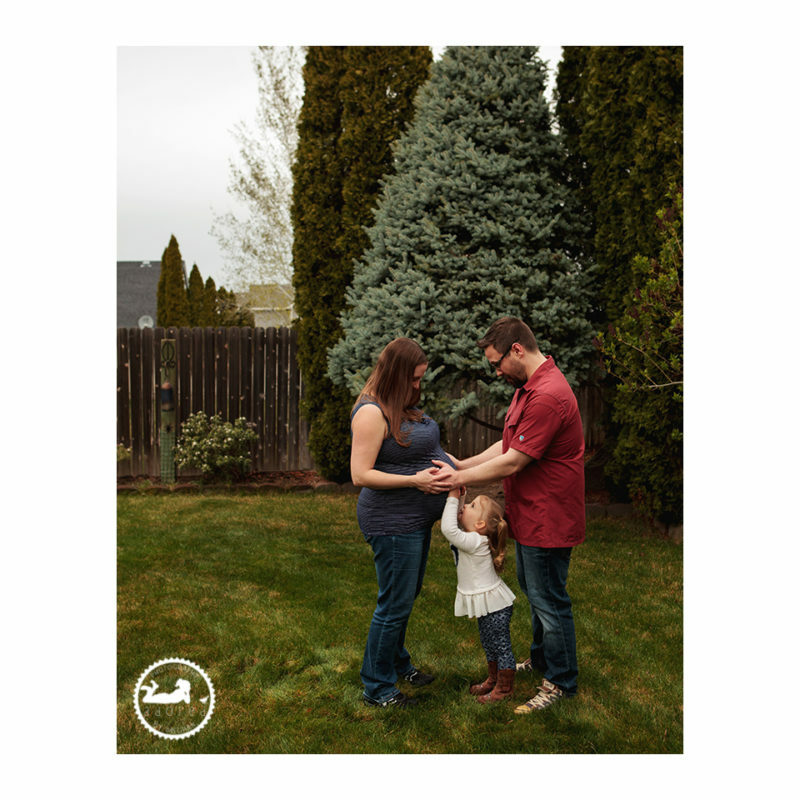 To schedule a portrait session for your family, use the “Book Meghan” tab above to send Meghan an email.